At Drilla Ltd, we provide expert Concrete Cutting Services to our valued customers at competitive prices. Combining our wealth of experience with the well-trained team and the cutting-edge technology we are able to provide our customers with an excellent cutting service with minimum disruption. Our team is capable of carrying out a wide range of concrete crunching and cutting services. Moreover, our success lies in our ability to consistently deliver innovative solutions to both traditional and complex concrete cutting and controlled demolition projects. To make any concrete cutting project successful, it is essential to have a skilled and dedicated team that is committed to following the health and safety measures on the job. That is why Drilla LTD is the company to call. We will discuss the needs of your project and thoroughly guide you on how we can help you. 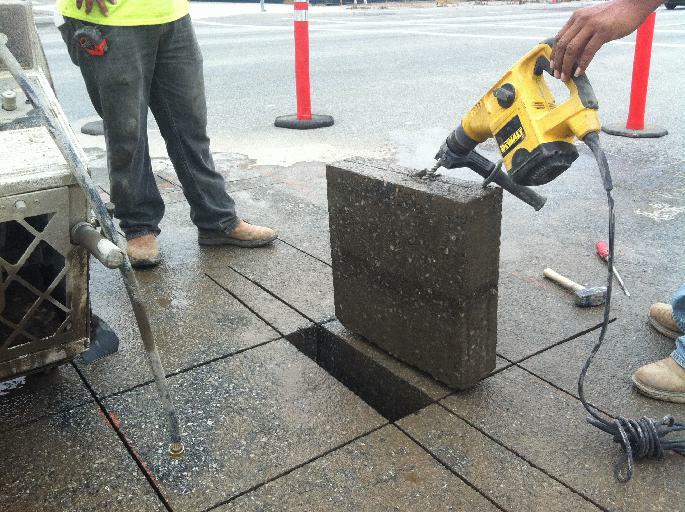 We always use advanced concrete cutting tools and equipment, which enable us to complete our entire concrete cutting job accurately and efficiently, with minimum disruption. We offer a Nationwide service at highly competitive prices. Also, with the ability to complete your project requirements safely, efficiently and within budget. With over 15 years of experience in the industry, you can trust us in fulfilling all of your concrete cutting needs. Our trained experts will arrive at your location fully prepared to complete the job efficiently and accurately. In this process, the slab sawing evens out concrete surfaces by cutting off the uppermost layer of concrete. Thus, leaving, in the end, a level surface. Our sawing equipment is controlled by remote and can cut up to 24” of thickness efficiently. It requires excellent precision and skill to cut through horizontal and vertical concrete slabs. And our trained field mechanics have the experience you can trust and rely on. In case your concrete building requires new bay doors, window openings, ventilation, or any other opening, then believe our services. Wire sawing is used as an alternative when physical or logistical constraints make the traditional cutting difficult. This method is required when the material is too large or too difficult for saw blades to penetrate. Wire sawing can be easily used in small spaces and provides a cost-effective solution when concrete sawing does not make sense. We provide efficient and effective concrete cutting with minimum disruption. Drilla LTD uses a low-vibration sawing technique that will not damage your current building state. We specialised in the concrete cutting of all types. No obligation site visits and quotations. We provide competitive prices for our services that you can easily afford. If you have any questions or require our assistance, then call us immediately without any hesitation. We will be delighted to guide you and always prepared to be at your service. So do not wait and hire our services now! We are anticipating your call.